The redesigned SWIX T77 110V Waxing Iron features a wider plate that's perfect for alpine skis, nordic skis and snowboards. 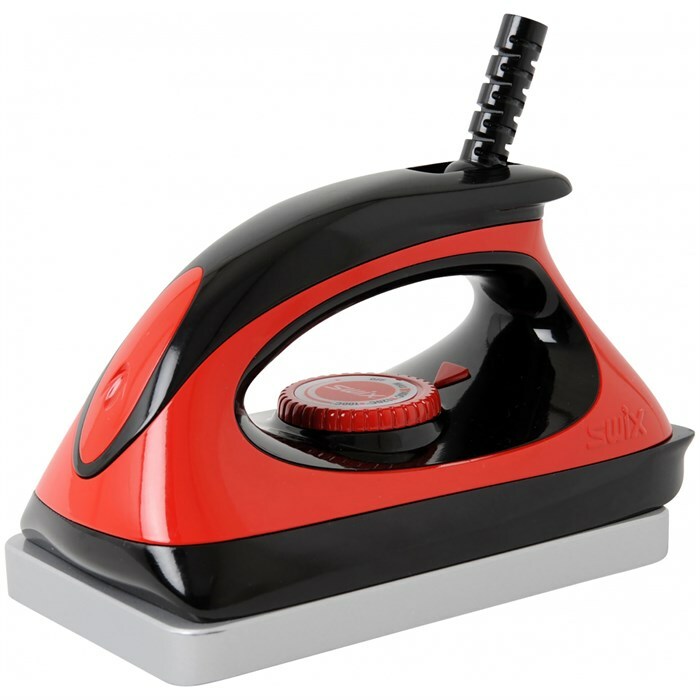 With an angled edge on one side of the plate for even speed melting wax, and a thicker plate for a more constant melt, this iron is a great option for home waxers looking to maximize their time on the bench. 100 x 160 mm  Wide plate suits alpine, snowboard and nordic.